As his career progressed, his compositions became increasingly minimal. Among his more experimental works were two drone pieces, "Coeur d'Orr" and "The Oak of the Golden Dreams". "The Oak of the Golden Dreams" was based on the Balinese "Slendro" scale. After composing a long-form gong solo titled "Lirio", he felt he had reached the limits of his experiments in minimalism and the avant-garde. He retired temporally from composition in 1970 and began a teaching career at the California Institute of the Arts. Two years later, while still retaining his teaching career, he resurfaced as a composer. Spanning from 1972-1975 he created four individual works under the collective title The Pavilion of Dreams. The style of these works was an unusual blend of popular jazz and the avant-garde. In 1976 he resigned from the institute and began recording his new compositions, produced by British ambient pioneer Brian Eno. 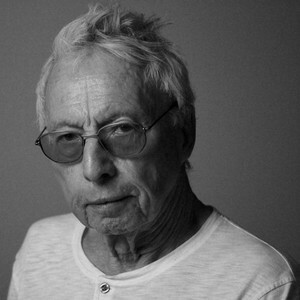 Two years later Harold Budd's debut album The Pavilion of Dreams was released. Since then he has developed a unique and powerful style of ambient music. His two collaborations with Brian Eno, The Plateaux of Mirror and The Pearl, established his trademark atmospheric piano style. In Lovely Thunder he introduced subtle electronic textures. His thematic 2000 release The Room saw a return to a more minimalist approach. His album Avalon Sutra from 2004 was billed as "Harold Budd's Last Recorded Work" by the record label SamadhiSound. Their press release continues: "Avalon Sutra brings to a conclusion thirty years of sustained musical activity. Asked for his reasons, Budd says only that he feels that he has said what he has to say. With characteristic humility, he concludes, ?I don't mind disappearing!?" In spite of this, Budd's soundtrack to the film Mysterious Skin (a collaboration with Robin Guthrie) and Music for "Fragments From the Inside" (with Eraldo Bernocchi) were both released in 2005. According to Robin Guthrie, the duo are in the process of recording a second album together. Harold Budds most recent collaboration has been a 3 album set with English Guitarist and composer, Clive Wright. 'A Song For Lost Blossoms' was released in October of 2008, the material was recorded in the California deserts Joshua Tree between March of 2004 and early 2007. This release contained a wealth of both live and Studio tracks and its evocative atmospheres has brought comparisons with Budds work with Brian Eno . 'Candylion' followed during the late spring of 2009, again with Clive Wright recording and producing the recordings. In this release the 2 artists evident evolution had resulted in more structured and cerebral compositions. with dark and moody tracks like 'Eaux D'Artifice' and Serene and Beautiful tracks like 'The Bells. 'its delicate ambient sounds evoking traditional Japanese landscapes. Amongst speculation that a third album would be produced, Budd and Wright played live on John Dilibertos, Echoes Radio program in the Summer of 2009. these solo tracks in Addition to more collaborations will be featured on their 3rd release 'Little Windows' due March 2010 on the Darla record label, their catalogue will also be made available as a 3 album box set by Darla.